If you are one of those lucky people with the day off in celebration of Columbus Day, I envy you. For those of us that have to work, allow me to help brighten your day by doing you a huge favor and introducing you to today’s Pretty in Pink guest- Elizabeth Mollen of Stone Textile. 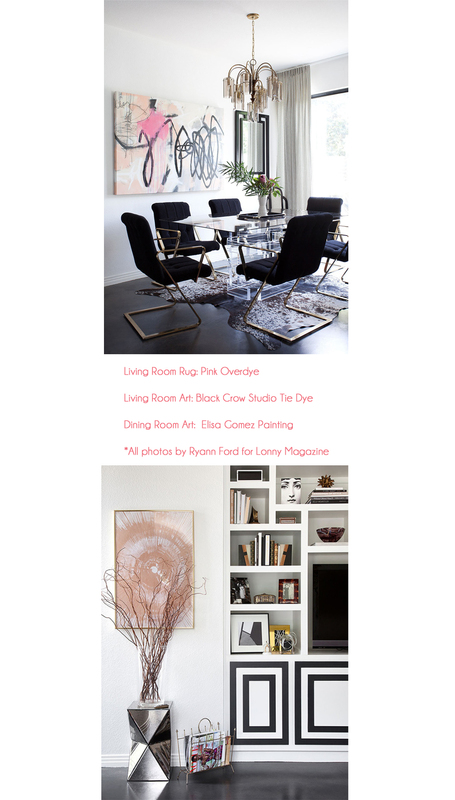 Elizabeth is an Austin- based interior decorator and founder/ designer of an amazing home product line. She is super talented, and it truly seems that everything she touches turns to gold. One of the many things I love about Elizabeth’s work is that aside from its obvious brilliance, is that it is so distinctive and recognizable. When you see one of her rooms, you can see that it is signature Stone Textile. I am always amazed at her ability to marry 70’s glam/ mid century/ art deco so effortlessly. If you haven’t already, please make sure you read and pin the hell out of her spread in this month’s Lonny magazine. Amazing I tell you!! On a personal note, Elizabeth is truly one of the nicest, most thoughtful, and generous people I know. That generous spirit always translates into helping others, and being truly happy for others’ successes. I don’t think she has a mean bone in her body. Also, she is ALWAYS so lady-like. It sounds like a strange thing to say, but it truly is a rare quality these days. People have become so lackadaisical about manners and general politeness. I guess this is my way of gushing about the beautiful, sweet, refined, and lady-like Elizabeth Mollen. I feel very lucky to count her as a friend! I know!! I am speechless too. 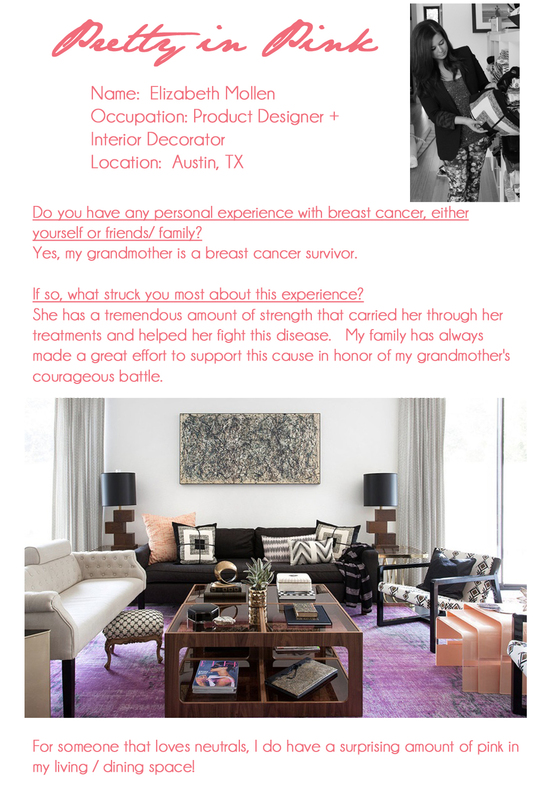 Thanks for sharing your breast cancer experiences and your amazing home with us E!